I am writing to introduce you to The Research Loop, a new way to give patients and caregivers a voice in the research process. 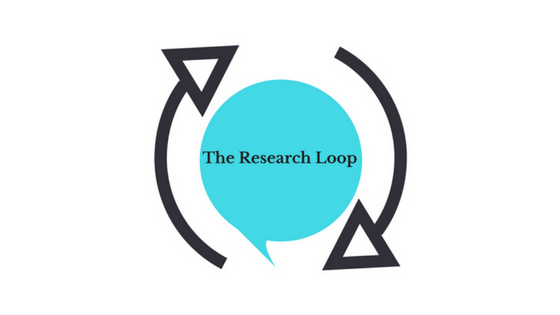 The Research Loop is a website that allows patients to enter feedback on research articles. That feedback is then given back to you, the researcher, in the hopes that it will impact future research projects. Attached you will find feedback on your article entitled [Title]. As a former merit reviewer for the Patient Centered Outcomes Research Institute, former researcher at the Judgment, Decision, and Intuition Lab at the University of Colorado at Boulder, and patient advocate who has worked in the area of health law and policy, I developed The Research Loop to fill a gap in the research process and give patients and caregivers a new way to become involved in the research process. The Research Loop recognizes that patient and caregivers can offer valuable insight given their lived experience in health care. Their expertise can help you identify priorities for research, improve the quality of research including design, analysis, and interpretation, and provide context and meaning to the work you do. Often patients and caregivers want to give feedback on research but do not have the opportunity because they are not aware of a project until after the research is completed and published. The Research Loop gives them that opportunity. In addition to impacting your work, The Research Loop aims to build a bridge between researchers and patients and caregivers. The site contains multiple educational materials to help patients and caregivers understand research and encourage them to become more engaged in the research process. As The Research Loop grows, we hope to foster connections for collaboration between these communities across the world. The Research Loop is not a website that publishes research and feedback is not published directly on the site. Any feedback that is submitted through the site is screened to ensure that it meets our guidelines before being passed on. And while you are under no obligation, you are invited to let us know if the feedback affected your work by emailing me at erin@theresearchloop.com.